The Massachusetts softball team has a long history of making noise in the Atlantic 10 tournament. In the tournament’s 27-year span from 1986 to 2012, UMass missed the playoffs once while winning the title 23 times. 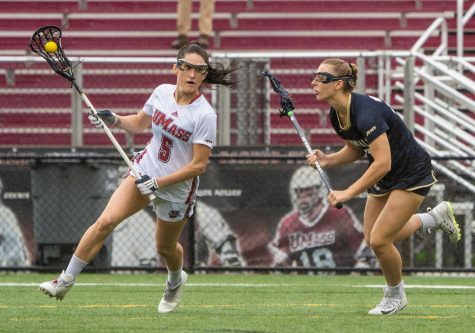 But this year will be the Minutewomen’s second time out of the past three seasons they will be on the outside looking in as UMass was swept last weekend by Saint Louis, eliminating it from postseason contention. The 2015 season was full of ups and downs for the Minutewomen (15-28, 8-13 A-10). There were stretches of promise but also prolonged struggles – including a five-game losing streak to close out the season, dropping the team to eighth place. 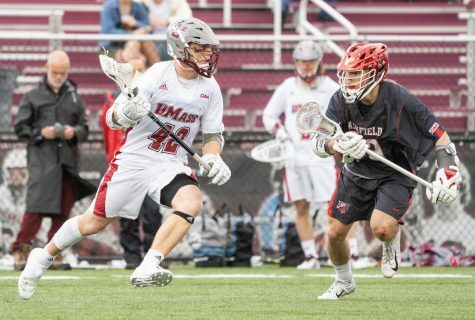 Expectations were high coming into the season as UMass was picked to finish fourth in the conference behind Fordham, Saint Louis and Saint Joseph’s. Heading into the last series against the Billikens, UMass stood in sixth place, trying to hold onto the final seed of the tournament. 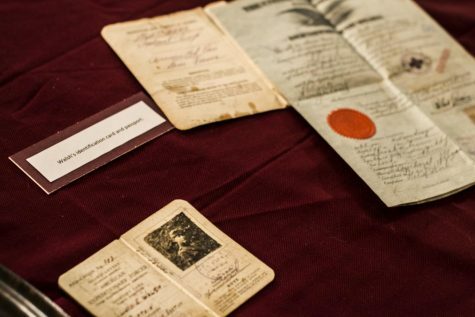 But the Minutewomen were outscored 22-8 over the final three games, drawing the curtains on their season and leaving UMass out of the playoffs being hosted at its own Sortino Field in Amherst. 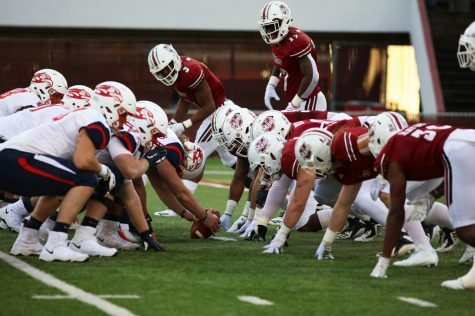 Minutewomen coach Kristi Stefanoni was cognizant of the fact UMass didn’t reach these expectations and cited inconsistent play as something that hindered the Minutewomen. 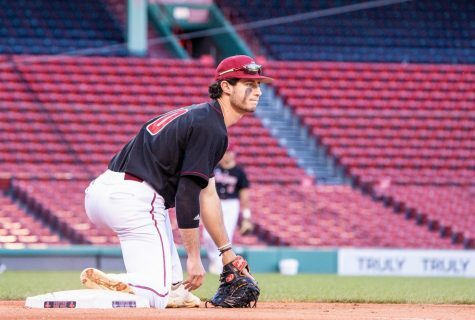 Stefanoni pointed to poor defense, inconsistent pitching and struggles to hit in clutch situations as UMass’ most glaring issues. On defense, the Minutewomen finished only eight out of 43 games without an error and ended the year with a conference-worst .945 fielding percentage. According to Stefanoni, these problems in the field sometimes had a negative mental effect. Despite its defensive shortcomings, UMass did see one of its best offensive years in recent team history. The Minutewomen hit 39 home runs as a team, marking their highest output since hitting 40 in 2012. 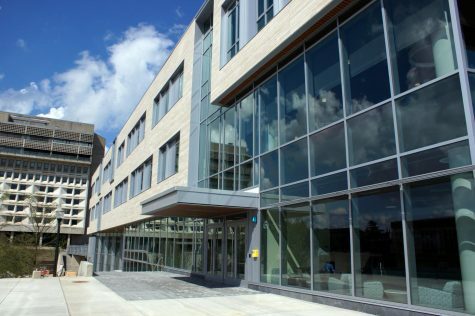 UMass’ record is 70, which was set in 2009. Senior shortstop Quianna Diaz-Patterson led the Minutewomen’s attack with the best offensive season in A-10 history. The Amherst native finished with a .504 batting average, nine home runs and 64 hits for the season. Diaz-Patterson’s batting average set a new conference record, breaking the previous record set by Rutgers’ Carla Camino, who had a .487 average in 1993. On Tuesday, she was named to the A-10 All-Conference First Team. Senior first baseman Bridger Lemire was another bright spot in UMass’ lineup, recording 11 home runs in her final season. The 2016 Minutewomen will be tasked with replacing a crop of seniors that made up half of the team’s starting lineup this past season. 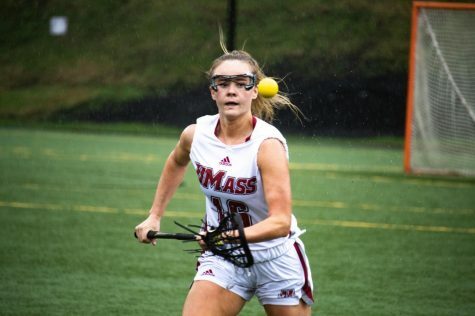 UMass loses its top two offensive threats in Diaz-Patterson and Lemire as well as Caroline Raymond, who anchored the pitching staff the past two seasons. Raymond posted an 11-15 record with a 4.08 ERA in 2015 and threw a no-hitter April 14. She started 27 games and pitched 60 more innings than the next closest pitcher on the Minutewomen’s staff. Other key seniors who started this season were third baseman Anna Kelley and outfielder Mikayla Panko. Despite these losses, Stefanoni said she’s confident in the future of the program and its prospects of making it back to the A-10 tournament. 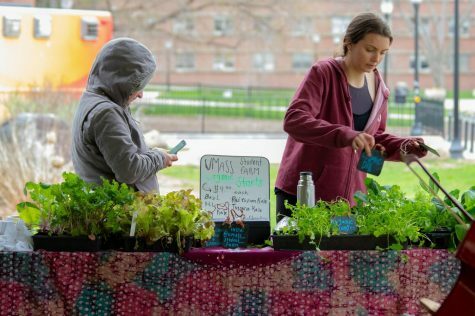 Correction: A previous version of this story mistakenly said UMass hasn’t made the Atlantic 10 tournament in the past three years, although it qualified for the tournament in 2014. 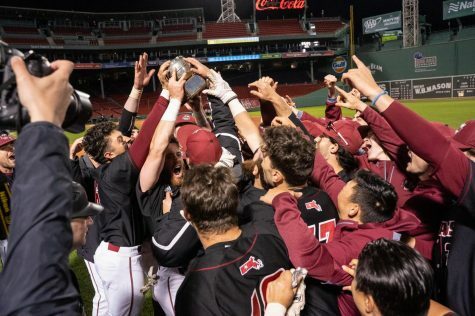 The story also said UMass was in seventh place heading into last weekend rather than sixth place and that the All-Conference team was announced Monday rather than Tuesday. These changes have since been made. This program has really fallen off the table, another mistake by the former AD, would’ve went with Henderson as coach cuz pitching is the name of this game!